When developing a new product or service, you should invest some time in creating a marketing strategy for the launch – and this strategy should include videos! Here are 3 examples on how you can use video when launching a product or service. Before the launch, you should make sure to create a buzz around your new product or service. Create teasers that provide glimpses of what you’re about to launch, without giving it all away! You can post these attention-grabbing teasers on social media with a call to action that encourages people to sign up to be the first to know when the product launches. Remember that the marketing of your new product or service should start well before the launch date, so that people will be aware of your new product when you actually launch it. 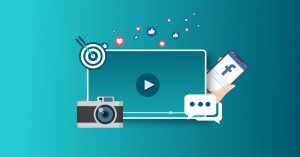 Get your free copy of The Ultimate Guide to Video Marketing Strategy 2019 here. On the launch day, you should really make a blast! Create a video that is exciting and eye-catching, and add all the relevant information the viewers would need to know about your product or service. You should also include a call to action so that the viewers know what to do next. In a product launch video, the call to action could be a link to your website where the viewers can go to learn more. Not everyone would have seen your teasers on social media, so don’t leave out any vital information when creating the video for the launch day. After you have launched your product or service, you should continue providing your audience with great video content. When someone has become a customer of your product, it’s important to keep them happy and keep feeding them relevant information. A good idea is to create useful demonstration videos where you answer questions your customers might be having, or show the different use cases of your product. This will not only make your customers happy, it can also save your customer service team some work. This type of video doesn’t have to be all that complicated. Here’s an example of a demonstration video made by Spotify that lives on their support page. Here they’ve mainly used screen recordings and text. Do you want to learn more about how to use videos as part of a product launch strategy? Get your free copy of our ebook, “The Ultimate Guide to Video Marketing Strategy” here.